Choose the View tab in the Ribbon and then click the View Settings button. The Customize View dialog box appears. 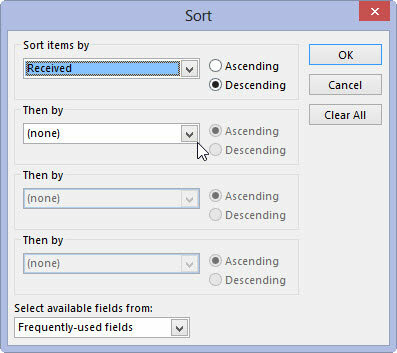 From the Sort Items By menu, choose the first field that you want to sort by. Choose carefully; a much larger list of fields is in the list than is usually in the view. It’s confusing. 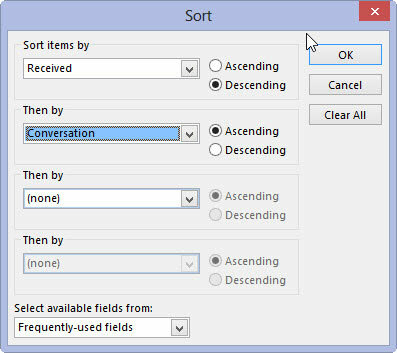 Choose Ascending or Descending sort order. 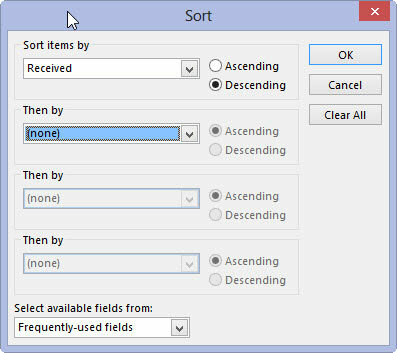 That means to choose whether to sort from smallest to largest (ascending) or vice versa (descending). 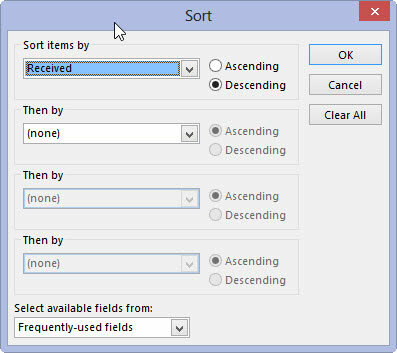 Repeat Steps 3 and 4 for each field that you want to sort. 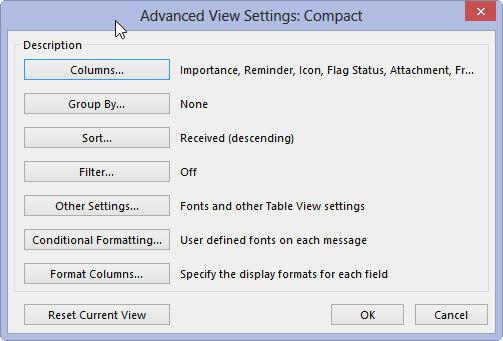 As the dialog box implies, the first column that you select is the most important. The entire table is sorted according to that field — and then by the fields you pick later, in the order in which you select them. If you sort your Phone list by company first and then by name, for example, your list begins with the names of the people who work for a certain company, displayed alphabetically, followed by the names of the people who work for another company, and so on.